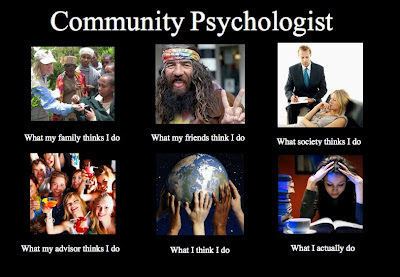 Community Psychology Practice: What do Community Psychologists do? 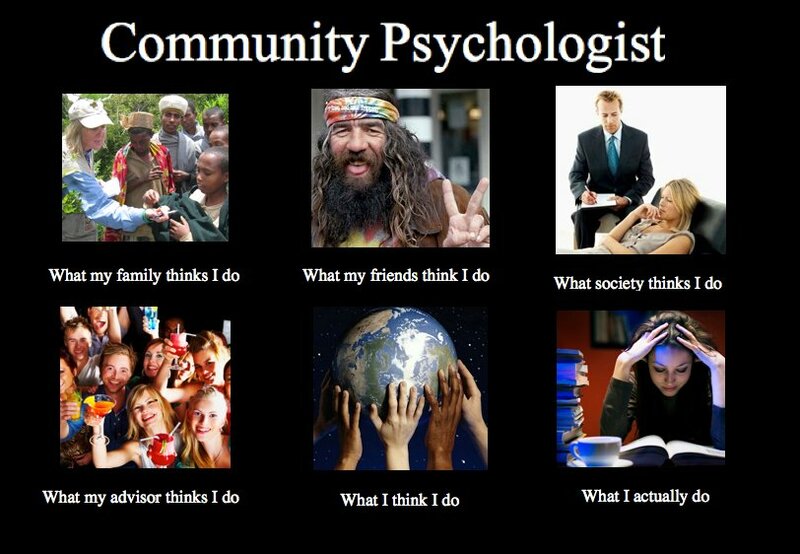 So I missed this meme by about a month, but while it was going strong my colleague in the Community & Cultural Psychology program here at UH Manoa created this tribute to what the world thinks a "community psychologist" does. I think she nailed it. What do you think? How do you explain what you do, and does anyone ever really get it right? Cool way to explain your idea. And does anyone really get it right, I'm not sure either. I'd like to share this link http://baysidecounselling.com.au/ some of you might find it helpful.